If you are registered and have received your confirmation email from Motorsportreg.com, you can download your Track Guys Heartland Park Topeka Info Packet – Click HERE to download. NOTE: Due to high level of interest in this event, we have SHUT OFF registration for Beginner and Novice level drivers. 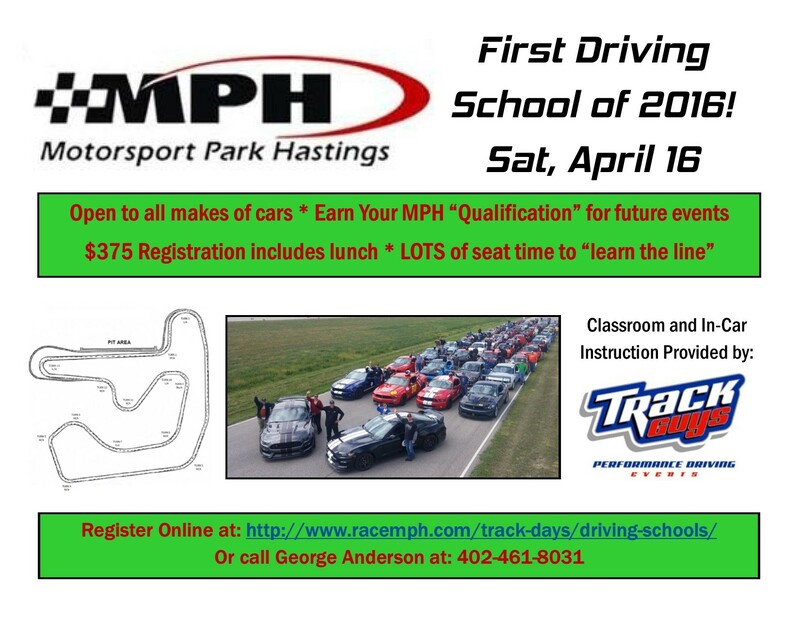 If you are an experienced track driver, you can still register. 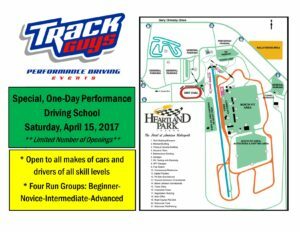 This just in – Track Guys will be conducting a special, one-day performance driving school at the completely repaved, 2.5-mile, 14-turn road course at the New Heartland Park Topeka. The event date is Saturday, April 15 and because it’s a one-day program, there are a limited number of spots available. Located on the south edge of Topeka, KS, Heartland Park holds a special place for Track Guys founder, owner and lead instructor, Jeff Lacina. 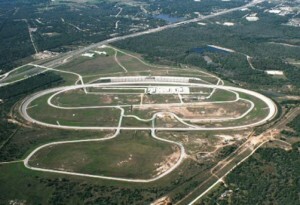 It was at this track back in 1995 that Jeff started his “in-car instructing career” that eventually lead to the creation of Track Guys in 2002. 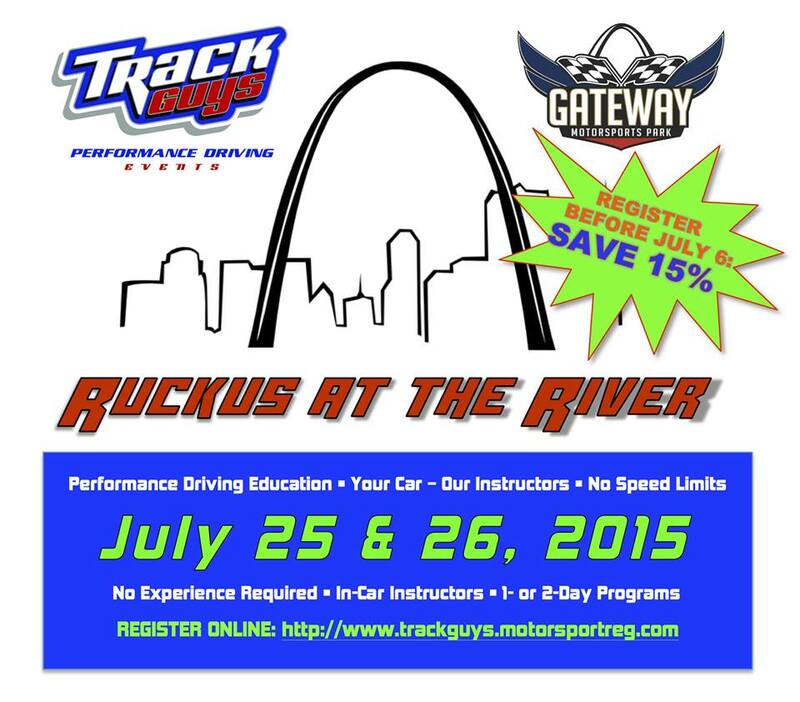 As with all Track Guys events, this event is open to all makes of cars and drivers of all (or none) experience. We run a four run-group format: Beginner, Novice, Intermediate and Advanced, so you’re always on track with drivers of similar levels of experience as you – even if you’ve NEVER done this before. Trust us: you won’t be alone! Click here or on the graphic to take you to the online registration page where it contains pretty much everything you need to know to get you on track with us. You, your car and our instructors are looking forward to helping you get your performance driving careers started off on the right foot (and your left one, too). If you’ve never run with Track Guys before, please click on the “About Us” menu up top and be sure to check out our “Rules and Regulations” in the Event & Registrations Form page. If they’re open – we’re running! Yes, this is our 3rd Annual Final Roundup at the fast and fun Texas World Speedway road course. For 2017 we’re once again running a three-day program. 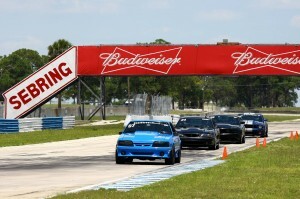 Friday is for “solo-qualified” Intermediate and Advanced level drivers as well as our Track Guys Instructors. Saturday and Sunday adds the Beginner and Novice level drivers to the event for two more days of turnin’ and learnin’ all the ins and outs of performance driving from our hard-working Track Guys staff. 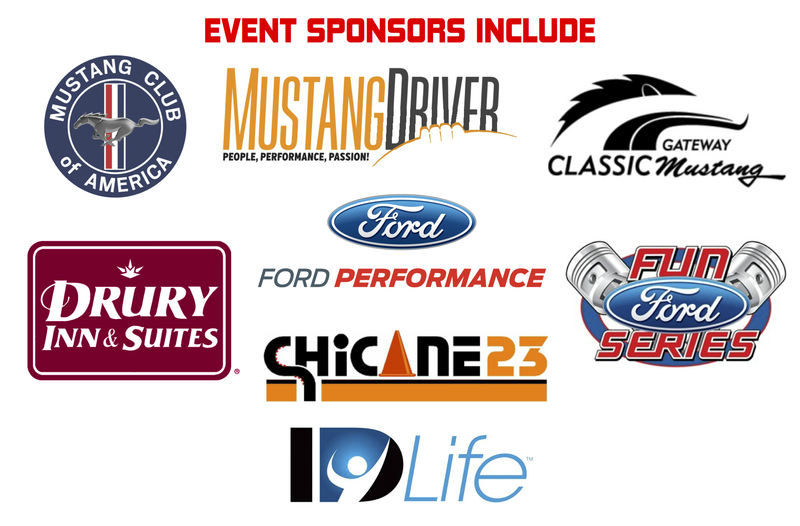 This event is open to ALL MAKES of cars – not just ones wearing the Ford blue oval. Porsche, BMW, Ferrari, Audi, Aston Martin, Mercedes, Tesla, Viper, Jaguar, Bugatti, Maserati, McLaren, Lamborghini, Koeningsegg, Pagani, Bentley, Rolls-Royce, Chevrolet, Chrysler, Dodge, Cadillac, Infinity, Mazda, Lincoln, Lexus, Lotus, Hyundai, Kia, Opal, Mercury, Oldsmobile, Toyota, Honda, Subaru, Datsun, Nissan, VW, Saturn, Suzuki, Nobel, Holden, Vauxhall, Volvo, Fiat, AMC, Alfa Romeo, Lancia, Zagato, Zenvo, MG, TVR, Triumph, Cooper, Pontiac, Plymouth, Studebaker, Tucker, Rambler, Renault, Saab, Citroen, Tribant, Crosley, kit cars – heck, if it’s safe, has four wheels and passes our tech inspection, we’ll get you on track! Sorry, no SUVs, 4×4 trucks, open-wheel or Hupmobiles though. Go here to register online or click the graphic below. 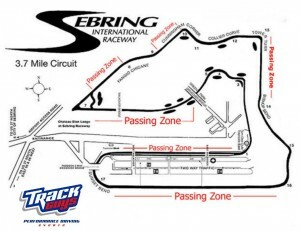 Sebring Registration is now OPEN! 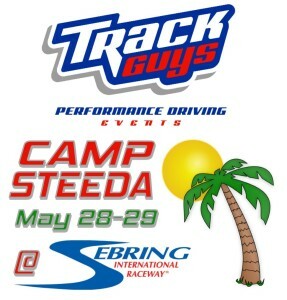 Please join us for 2+ days of Track Guys Camp Steeda fun at the historic Sebring International Raceway, May 28 & 29. The 3.7-mile track is the very same one used by the historic 12 Hours of Sebring international sports car race and is know world-wide as a challenge for both car and driver. 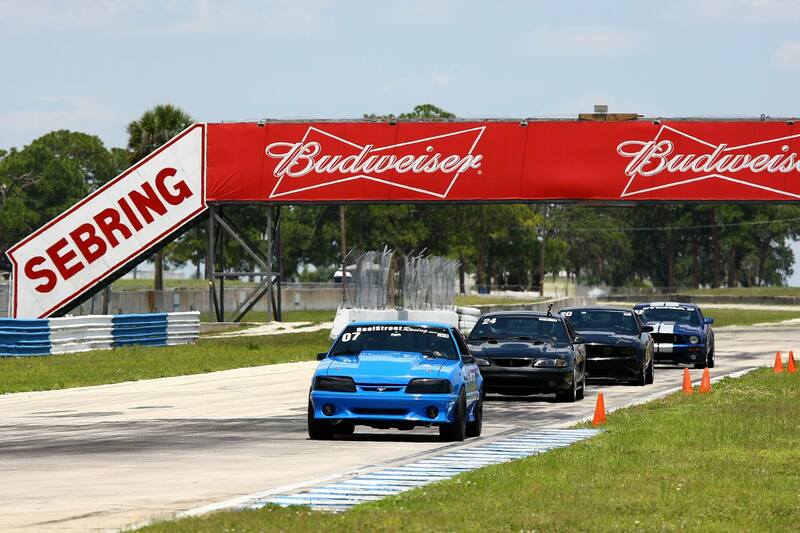 This event has grown into the premier Ford, Mustang and Shelby driving event in the southeast, drawing drivers and instructors from as far away as Pennsylvania, Texas, Oklahoma, Illinois, Michigan, California and even Ontario, Canada, eh! On track, we have our full program of driving education, including 1-day or 2-day schools. 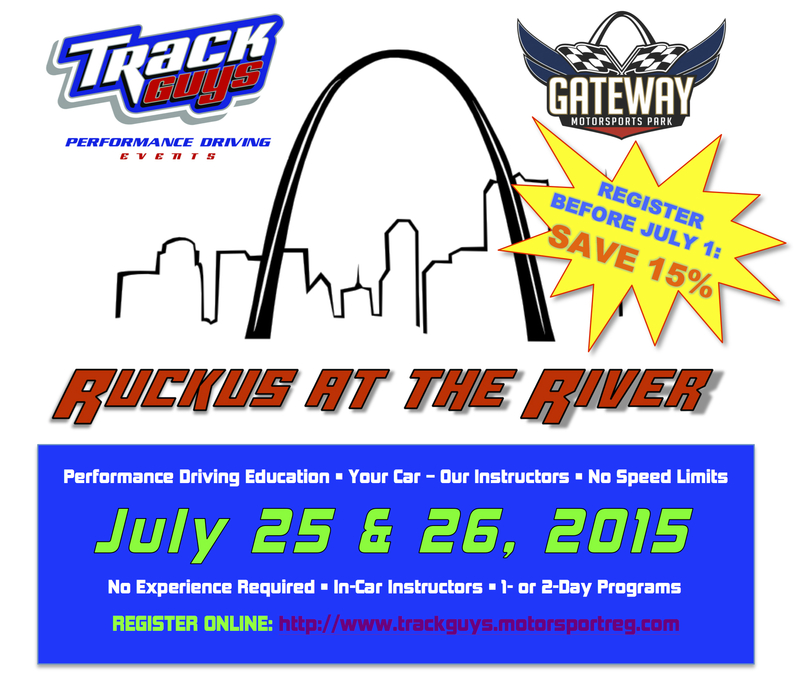 Or, if you just want to give our program a try, you can register for our Track Guys Test Drive Program. This gets you the Driver’s meeting, orientation laps, first classroom session and finally, one on-track, at-speed session with your own personal in-car instructor helping you navigate the track. If you don’t want to drive on track, the Team Shelby Southeastern Region is organizing a cruise-in car show on Saturday, which also includes lunch break parade laps on the track and the opportunity to ride one one of our experienced Track Guys Instructors. 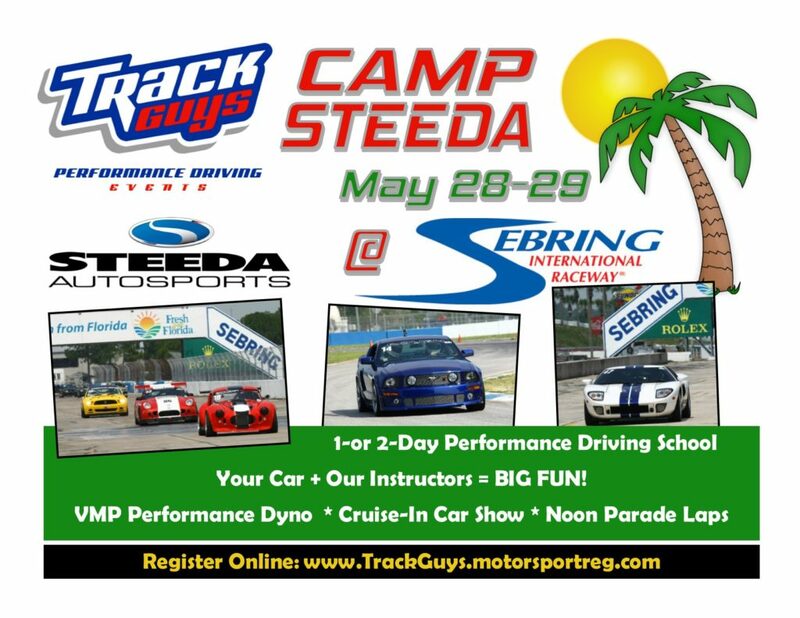 Once again, Steeda Autosports has signed on as a valued sponsor and promoter for our annual pilgrimage to Sebring International Raceway. 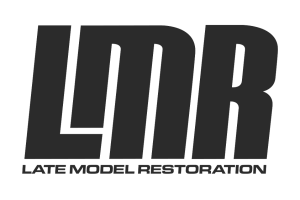 Be sure to visit their website or check out their display of great cars and go-faster parts at the event. Keep up to speed with all the latest event news and information by visiting our Facebook “Event Page” by here or click on the image below. See you on track at Sebring! NO MORE SA2005-rated helmets at our events! The safety of our students, solo drivers and instructors is of utmost importance. With 2015 in the rear view mirror, now is a great time to review helmet requirements for 2016 and beyond. SA2005 helmets will NO LONGER be allowed. These helmets will NOT be allowed at ANY 2017 event. SA2010 helmets will be allowed at Track Guys events through the 2020 season. SA2015 helmets will be allowed at Track Guys events through the 2026 season. We encourage all performance driving students, solo drivers and instructors to exercise great care in taking care of your helmets. Keep them clean, make sure they dry out properly after a sweaty weekend at the track and if your helmet is ever dropped hard, makes impact with anything inside the car or is damaged in any way, REPLACE IT! 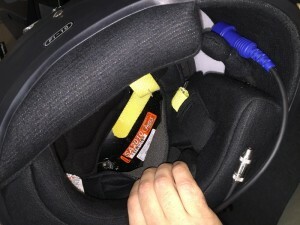 Your safety simply isn’t worth the risk of running a potentially “damaged” helmet. If you are need or want to make an helmet upgrade, the SA2015 helmets started hitting dealer/distributor inventory in the middle of 2015, so they are out there. And as you can see from above, a properly maintained SA2015 helmet will provide you with YEARS of dependable service and protection. However, be advised: some dealers/distributors still have SA2010 helmets and are selling them at significantly reduced prices. Keep in mind, these helmets are already one SA-rating “behind” and will only be good through the 2020 season. And for the love of all things holy, PLEASE make sure you are purchasing an SA-rated helmet. Take some time and look inside the helmet for the orange decal. You may have to pull back the lining a bit to find it, but if it’s truly an SA-rated helmet, the label should be there. And as always, DOT, M- or Snell DOT-rated helmets are NOT acceptable at any Track Guys event. Period. 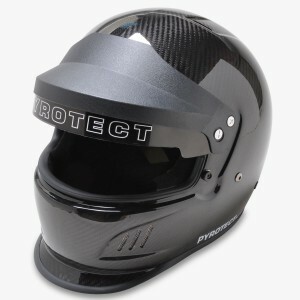 Contact our friends at Chicane23 for all your helmet and safety equipment needs. If you want to learn more about the Snell Foundation and specifically the 2015 Standards, visit this page on the Snell Foundation website. 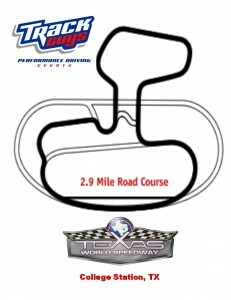 Texas World Speedway Registration is OPEN! Registration for our “2nd Annual Final Roundup” at Texas World Speedway is now OPEN! Follow this link or click on the image above. The 2016 event is once again a three-day event, March 11-13, with Friday being open to solo-qualified track drivers and instructors. Saturday and Sunday will be our full program with plenty of seat time for all run groups: Beginner, Novice, Intermediate and Advanced level drivers on the 2.9-mile TWS road course. WARNING: Do NOT wait too long before signing up for this event as it has sold out in the past. And remember, Track Guys events are open to ALL makes of cars. 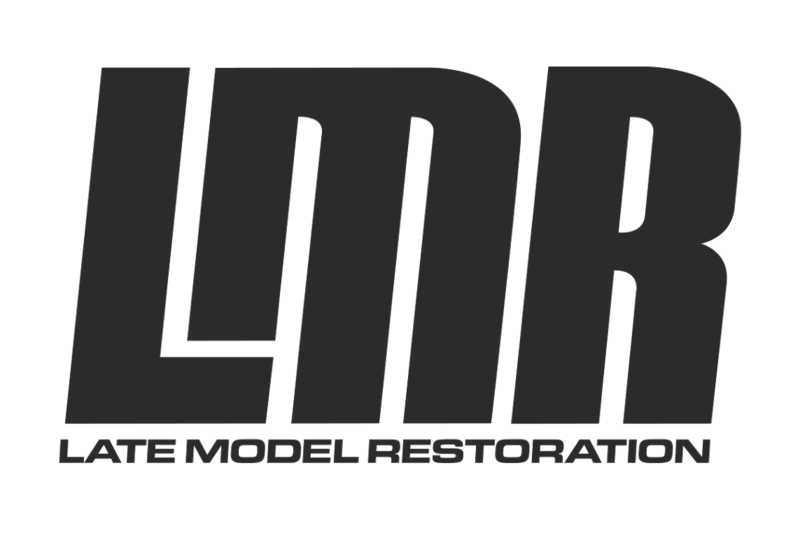 The gang at Late Model Restoration will be one of the primary sponsors for our 2016 event, along with Chicane23 and VMP Performance. 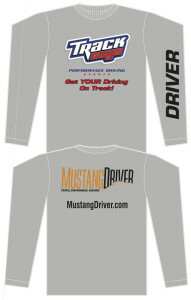 As they’ve done the past couple of years, the Mustang Club of America is sponsoring Saturday’s lunch for ALL registered drivers (students and instructors) and will have national representatives at the event to answer any questions you may have about the MCA. Check back for more event updates as they become available and we sincerely hope you can join us at TWS in March! Registration is now open – and better yet, register before July 6 and SAVE 15% on a two-day entry fee! Go here to register online. 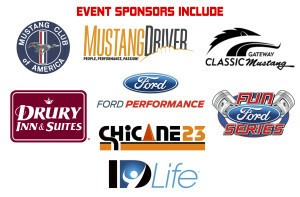 Note: the event is part of the Fun Ford Series event that will be held Friday PM and Saturday. 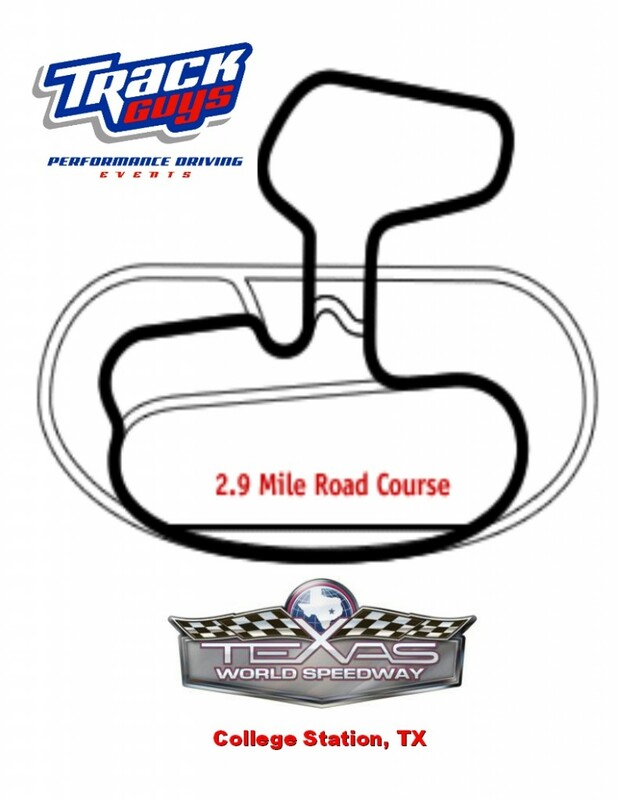 The Track Guys Ruckus at the River will start with a Friday afternoon registration and tech inspection, followed by Saturday and Sunday on Gateway’s challenging and fun 1.6-mile, 7 turn road course. 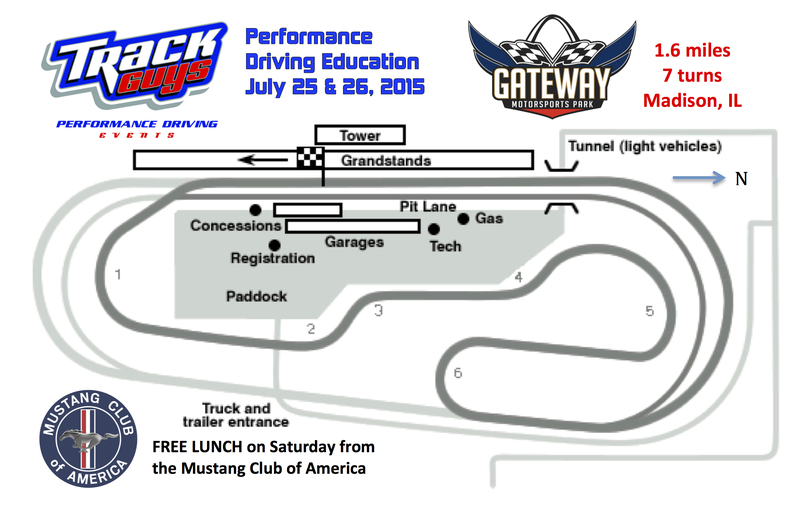 Our friends at Gateway Classic Mustangs will also be hosting an autocross on Friday as well. You can sign up for the Track Guys Test Drive program, a single day (Saturday) or to maximize your seat time and fun, sign up for the full two-day program. 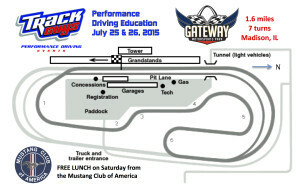 See you at Gateway Motorsports Park! 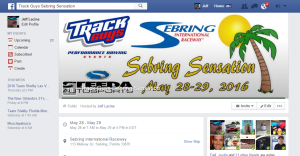 Get your “Sebring Survival Guide” right here! 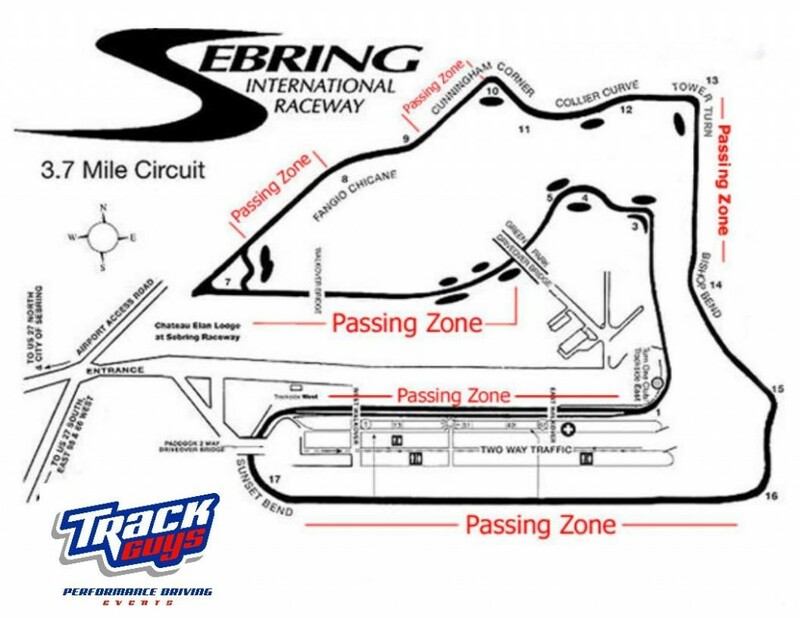 This document contains a general schedule of events for our event at Sebring International Raceway along with all the forms you MUST bring with you to registration (Liability, Tech and Medical forms). Click here. Please note: this year we are doing Registration at the Chateau Elan hotel in the Panoz Board room. (Come in the front doors, turn right down the first hall (before you get to the bar) and the Panoz Board room will be on your right. We’ve also included track map and paddock traffic flow map so that everyone know “which way they are going,” where to pass and where to park. Remember to bring a cooler and plenty of water / sports drink, a camp chair, hat / umbrella, sunscreen and sunglasses. And remember, to go on track, we require long-sleeve shirts, long-pants, closed toe shoes and an SA05 or SA10 helmet (absolutely no DOT or M-Rated helmets at all. End of discussion. PERIOD.) If we deem temperatures and humidity levels to be excessive, we MAY wave the long-sleeve shirt requirements and will make this announcement at the driver’s meeting each day. 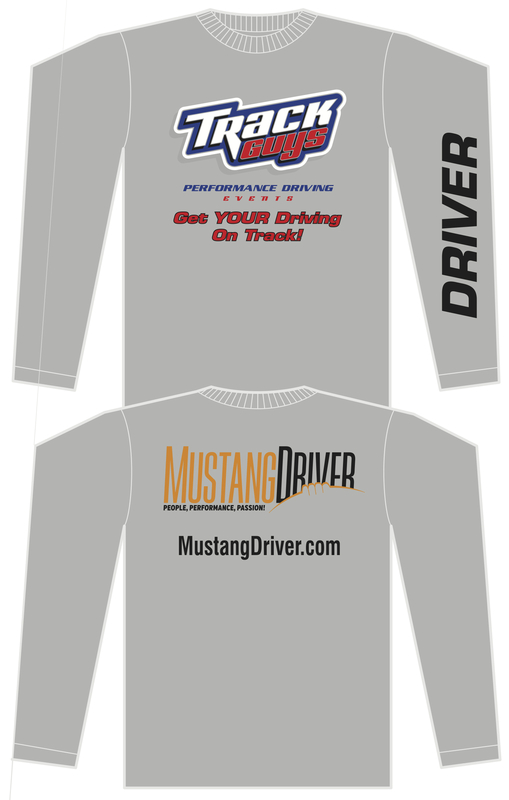 Mustang Driver Magazine will be providing every registered driver with a uber-cool Track Guys / Mustang Driver long-sleeve t-shirt. You can pick up yours at registration. We still have openings in all run groups (Beginner, Novice, Intermediate and Advanced), so it’s still NOT too late to sign up online. Deadline for online registrations is midnight, Thursday, May 28th. We will take walk-up registrations on Friday starting at 2 PM and last-chance walk-ups at 6:45 AM on Saturday in pit stall 67 (far east end of garages). NEW FOR 2015 event at Sebring International Raceay: The Steeda Hot Lap Challenge is a time-trial event open to Intermediate, Advanced and Instructors at the Track Guys Final Roundup at Texas World Speedway on Sunday, March 29. 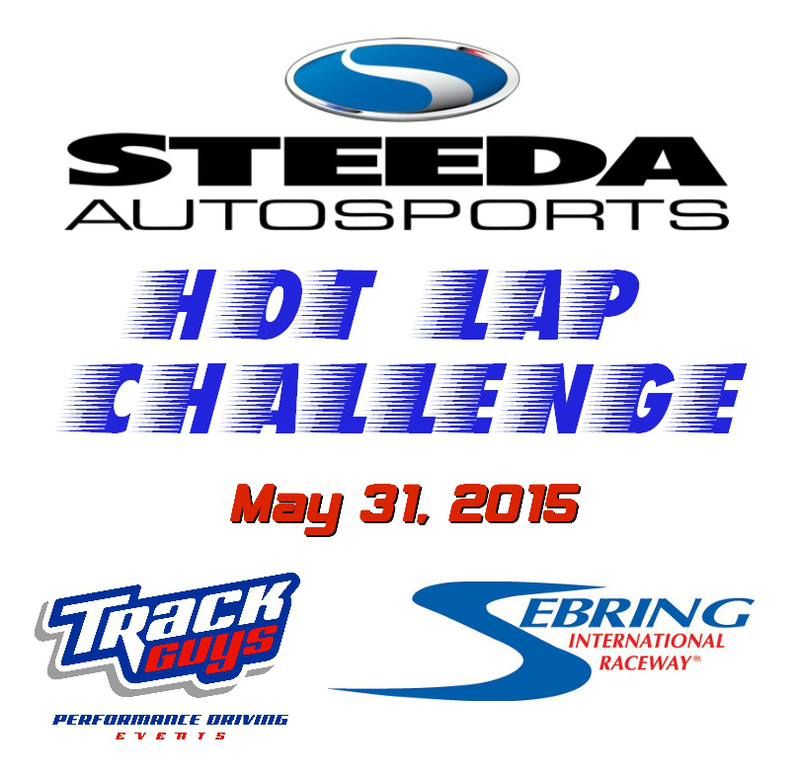 The Steeda Hot Lap Challenge will be run within the regularly scheduled Intermediate and Advanced run groups. It is up to each driver to navigate on-track traffic in a safe fashion while driving to collect their fastest laps. Drivers are allowed to return to pit road during the session in an effort to relocate themselves within the group of cars already on the track. These classes are designed to provide specific guidelines for those choosing to compete. You know your car and the modifications (or lack thereof) and will be asked to disclose all information about your car during the mandatory Tech Inspection. Final classification will be SOLELY up the the judgment of the Chief of Tech and his inspection crew. Cars with moderate performance modifications competing on R-compound tires still driven regularly on the street. Continental “take-off” slicks from Grand Am cars. Cars with aftermarket power-adders may be moved to the next higher class (at the discretion of the Chief of Tech and his team). Cars with significant performance modifications and that are primarily designed for track driving or all-out race-type vehicles. This category also includes any cars racing on slicks. As with NASA, Conti takeoff slicks from Grand Am would be exempted in the Modified class. 1) Only 50 Steeda Hot Lap Challenge slots are available. If you want to secure your slot before the event, please email dell@trackguys.com ASAP. 3) You MUST have an electronic transponder. You can run your own (bring your transponder number to registration) or rent one at the event. 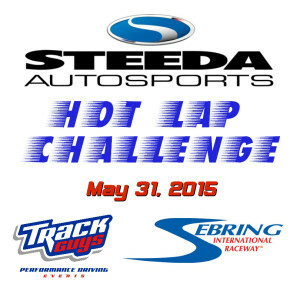 5) ONLY laps run during the Final Steeda Hot Lap Challenge runs on Sunday will be used to determine finishing order. 5) During the timed sessions, ALL PASSING RULES will be in place and enforced by the track marshals/corner worker stations. Additional procedures will be discussed at the driver’s meeting and MUST be adhered to during the Steeda Hot Lap Challenge. 6) Failure to follow the rules will result in a BLACK FLAG for the offending driver(s) with the lap times recorded during the infraction NOT being counted. 7) Awards will be distributed at 4 PM on Sunday, with 1st, 2nd, 3rd and 4th place being awarded in Stock, Modified and Race classes. 8) And please, no wagering.